The Phottix Odin II is finally being released, nearly 18 months after its original announcement. 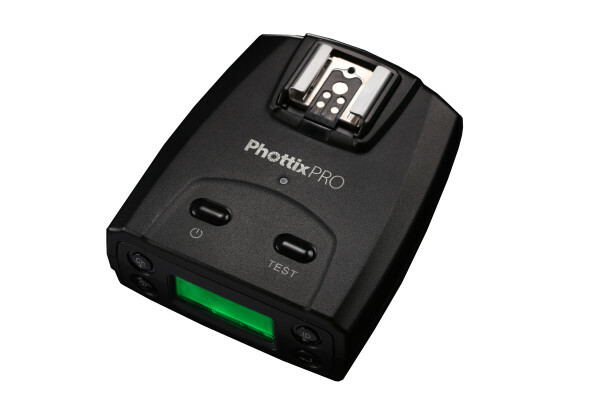 The next-generation wireless flash trigger includes a raft of improvements over the original Phottix Odin, including an improved user interface and a built-in autofocus-assist lamp in the transmitter. Mac Group Europe, Phottix’s distributor in the UK and some other countries, says the Odin II for Nikon and Canon will be available from the third week of February 2016, with the Odin II for Sony “expected to arrive in late April”. 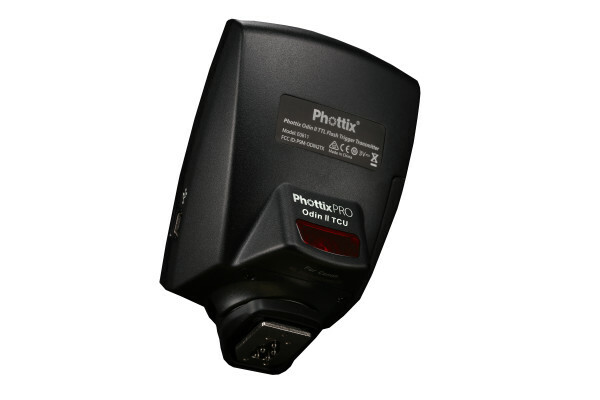 The Phottix Odin triggering system works over 2.4GHz radio signals, and is compatible with the Phottix Mitros+ hotshoe flashgun, the Indra500 and Indra 360 studio flashes, the older Odin and the Atlas II, Strato and Strato II manual triggers. The system offers wireless remote power control, TTL exposure, high-speed sync, “Overdrive Sync” and second-curtain sync on compatible cameras and flashes. The Odin II supports up to five flash groups, A, B, C, D and E, versus just three groups on the original Odin. There are now up to 32 channels (previously 4) to help avoid interference from the environment and other Odin II users. 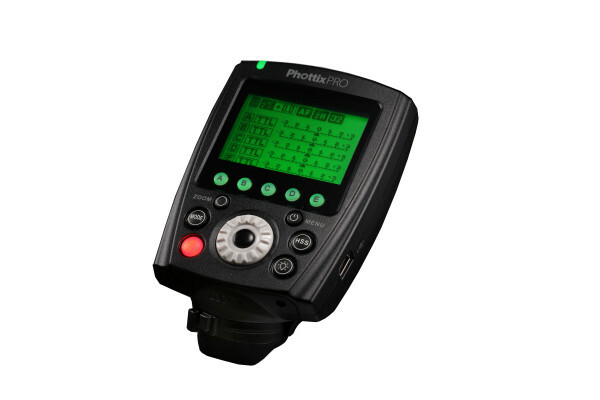 A new forward-leaning transmitter control unit (TCU) incorporates an LED autofocus-assist lamp to help with shooting in low light, and has improved controls, including a new power control dial and dedicated buttons for selecting flash groups. The receiver has also been upgraded with the addition of its own LCD screen for setting up channels and groups. For some reason, the new Phottix Odin II supports Second Curtain Sync (aka Rear-Curtain Sync) on Nikon and Sony cameras, but not Canon cameras, whereas the original Odin supports this feature on Canon as well. It is not clear why this feature has been removed. The older Odin also had the option of automatic flash zoom control (so the flash fresnel matched the focal length of your lens) in addition to setting it manually, but the new Odin II only supports manual zoom. When used with the Indra360 and Indra500 TTL studio lights, the Odin II allows remote adjustment of the modelling lamp, and flash ratio controls. All these features are pretty nifty, but they don’t come cheap: the Phottix Odin II TCU will be priced £160, with Odin II receivers £125 each. Compare that to the more basic Yongnuo YN622C II at around £30 per transceiver, or Godox’s latest X1 TTL triggers, which are similarly competitively priced. Transmitters and receivers will go on sale in two weeks at Phottix Platinum dealers, including The Flash Centre, Dale Photographic and Wex Photographic. For more information, contact Mac Group Europe. Will you be investing in the new Phottix Odin II? Share your thoughts in the comments below.